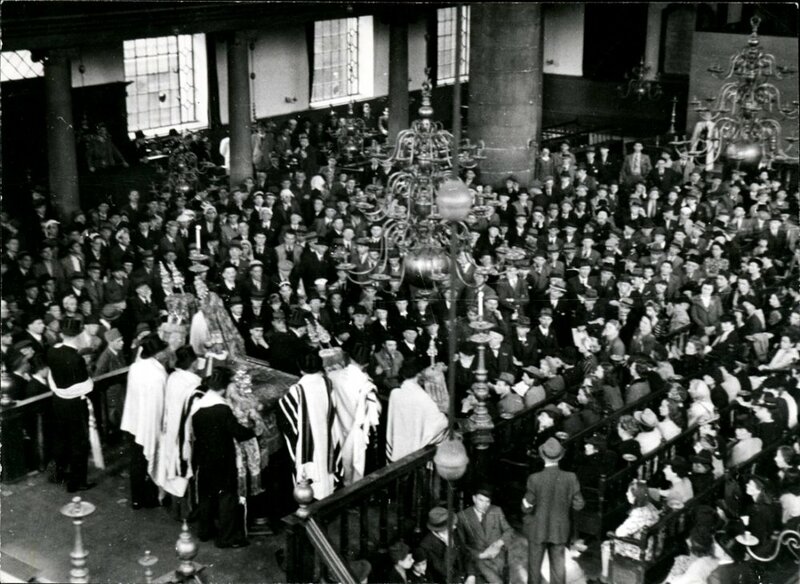 The Esnoga, the famous Portuguese Synagogue of Amsterdam, holding a service for survivors of the Holocaust on May 9, 1945. This entry was posted on Tuesday, March 20th, 2012 at 12:43 am	and tagged with Amsterdam, Esnoga, Holocaust, Portuguese Synagogue and posted in Uncategorized. You can follow any responses to this entry through the RSS 2.0 feed.